Web of Science: Is Iceland really a part of Scandinavia, or is just said to be because of the country's connections with the Nordic countries? Is Iceland really a part of Scandinavia, or is just said to be because of the country's connections with the Nordic countries? The old meaning of the word Scandinavia embraced Norway and Sweden. The origin of the word is not entirely clear but people generally favour the idea that it means the island of darkness or fog island (The Norwegian word skodde meansfog and avia or aujo which are of Norwegian origin, mean island). 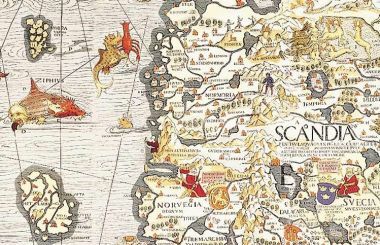 On old maps, Scandinavia is often shown as an island, and as people's knowledge of world geography was then quite limited, then this interpretation is not unlikely. 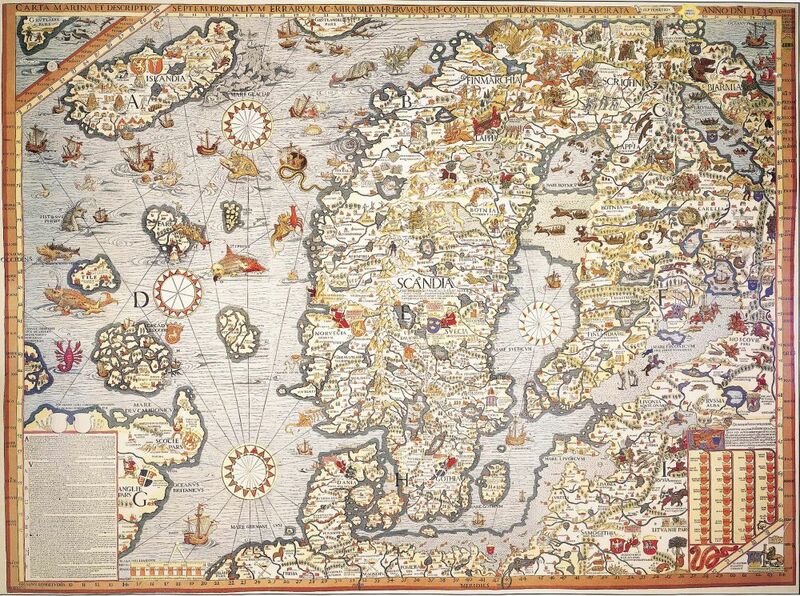 Part of a map of Scandinavia by Olaus Magnus (1490-1557). Click on the image to see the entire map. The anglo-saxon meaning of the word Scandinavia is Norway, Sweden and Denmark, and some also include Finland and Iceland. But as was previously said, the original meaning is probably geographical and refers to the "peninsula" that is often depicted as an island on old maps, so Iceland is not a part of Scandinavia. It is not unlikely that the common Nordic heritage of these countries, along with the fact that these five are called the Nordic countries, result in Denmark, Iceland and Finland being considered part of Scandinavia. Guðrún Gísladóttir. „Is Iceland really a part of Scandinavia, or is just said to be because of the country's connections with the Nordic countries?“. The Icelandic Web of Science 13.1.2006. http://why.is/svar.php?id=5561. (Skoðað 21.4.2019).